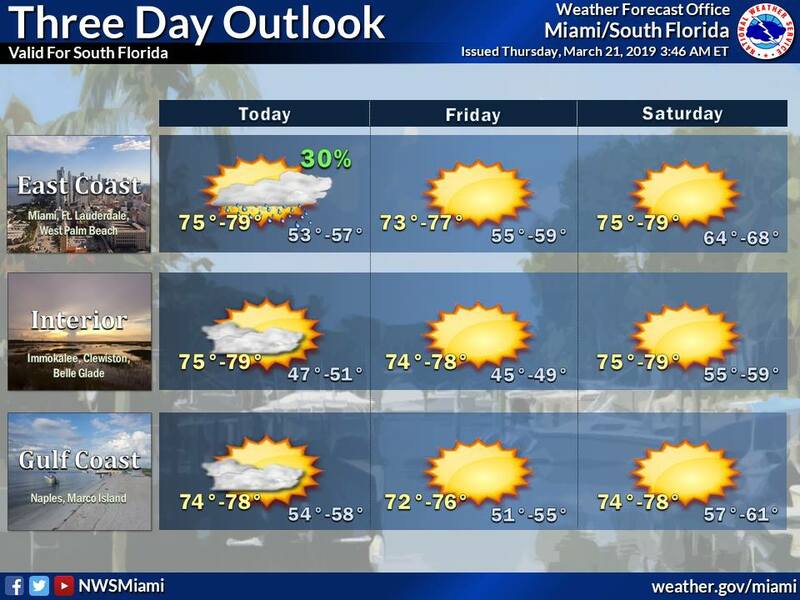 Spring has come to South Florida, and we’re enjoying our own kind of spring weather on Thursday and for the next several days. Thursday is the first full day of the season, and it features plenty of sun, a few clouds, and just the chance of a stray shower. An elevated risk of dangerous rip currents at the Atlantic beaches is the only real downside. 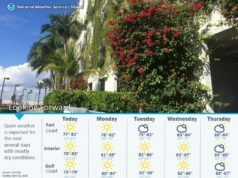 Highs on Thursday will be in the mid 70s. Friday morning will be on the cool side, with lows in the 50s. But we’ll see lots of sun as well. Friday’s highs will be in the upper 70s. 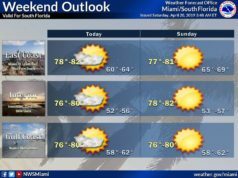 After a cool start, Saturday will feature good sun and a few clouds. 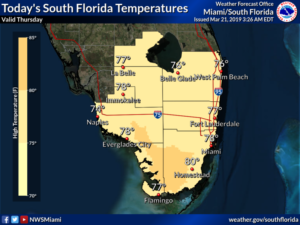 Saturday’s highs will be in the mid to upper 70s. 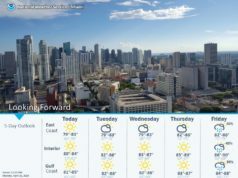 Look for lots of sun and blue skies on Sunday. 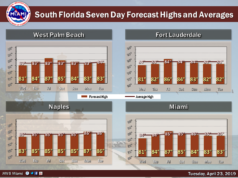 Sunday’s highs will be near 80 degrees. We’ll start the workweek with plenty of sun and a few clouds on Monday. 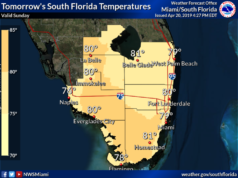 Highs on Monday will be in the low 80s.